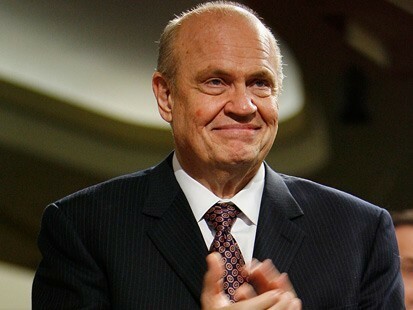 There’s a minor blogstorm  developing around a report from Bill Theobald in USA Today about Fred Thompson’s answer to a question as to how badly he wanted to be president . Right Wing Nut House , Flopping Aces , Wake up America , Stop The ACLU , The Carpetbagger Report , NewsBusters.org , Blue Crab Boulevard , The Sundries Shack , Memeorandum has more. A major difference between Fred and Mrs. Clinton is that Fred defends himself without getting shrill, invoking the need for some grand conspiracy and with facts. Listen to Fred make his case . Also, unlike Mrs. Clinton, Fred takes and answers questions. Hat Tip: Allah Pundit, Hot Air .